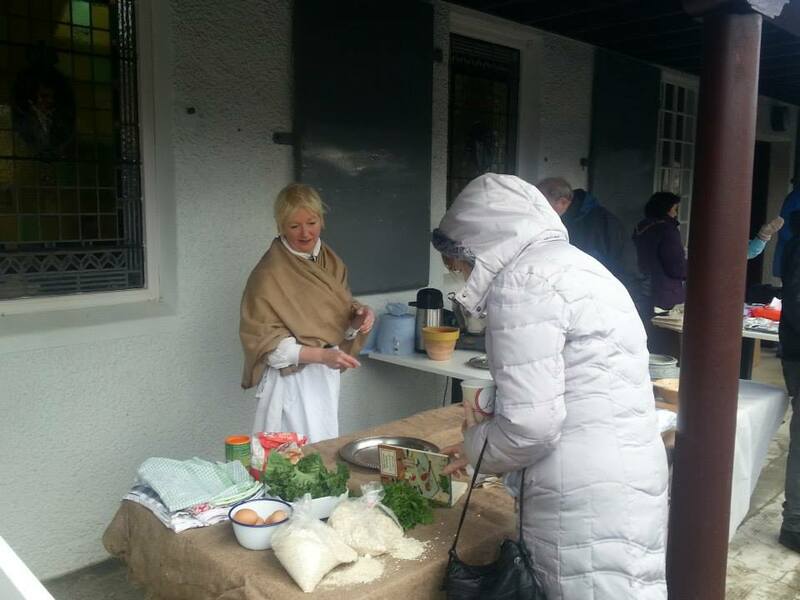 Alloway 1759 – a Burns night to remember! Last weekend, the world celebrated the birthday of Scotland’s national Bard, and the Robert Burns Birthplace Museum joined in with gusto! 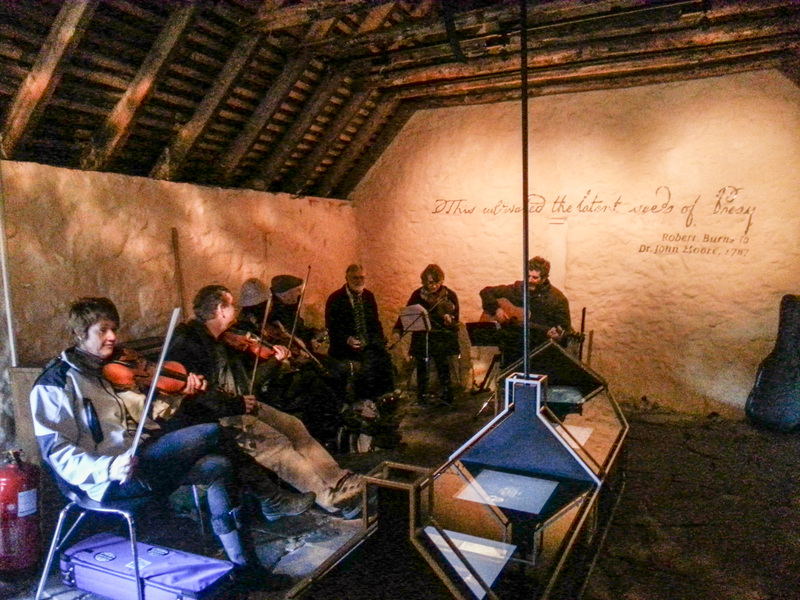 The festivities actually began the previous weekend with the ‘Alloway Sessions’, two days of fabulous live music celebrating the songs of Burns and other Scottish favourites. With traditional folk music in the kitchen, a ceilidh band in the barn, and a fantastic programme of Burns music in the education pavilion, we were certainly treated to a wonderful array of performances and would like to thank everybody that took part and came along to support us! 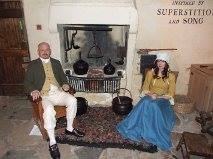 On Thursday 23rd January, our recreation of the first Burns Supper allowed visitors to step back in time to 1801, enjoy good food and meet costumed characters in the cottage. We would like to say a big thanks to our catering staff and to our volunteers and staff members who got involved with the re-enactment. Into the weekend, and the morning of the 25th dawned with such torrential rain that we were all quite concerned about being washed away! Thankfully, the weather brightened up a little in the afternoon, clearing the way for the day’s events. 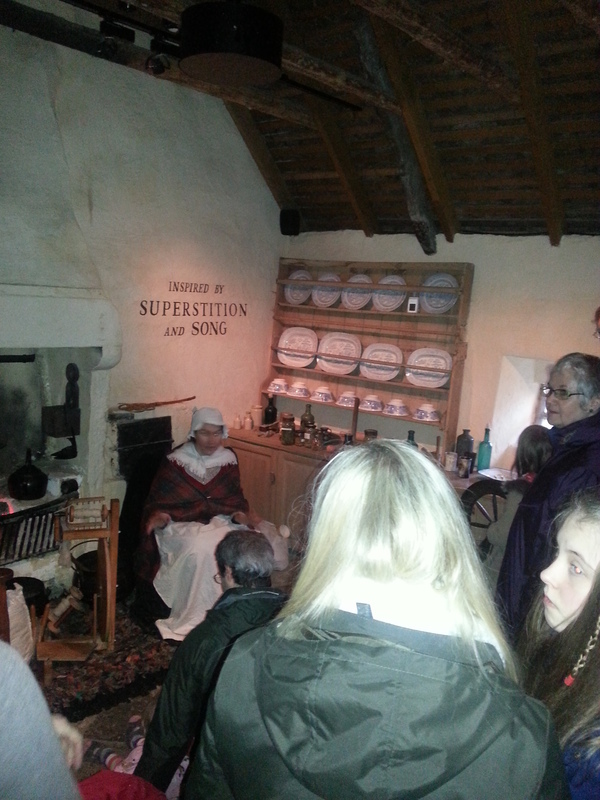 Costumed volunteers in each room of the cottage told the story of the Burns family, with William and Agnes introducing the Barn and the Byre, John Murdoch telling us about his pupils in the Spence, and Aunty Betty spooking us all with scary stories in the kitchen. 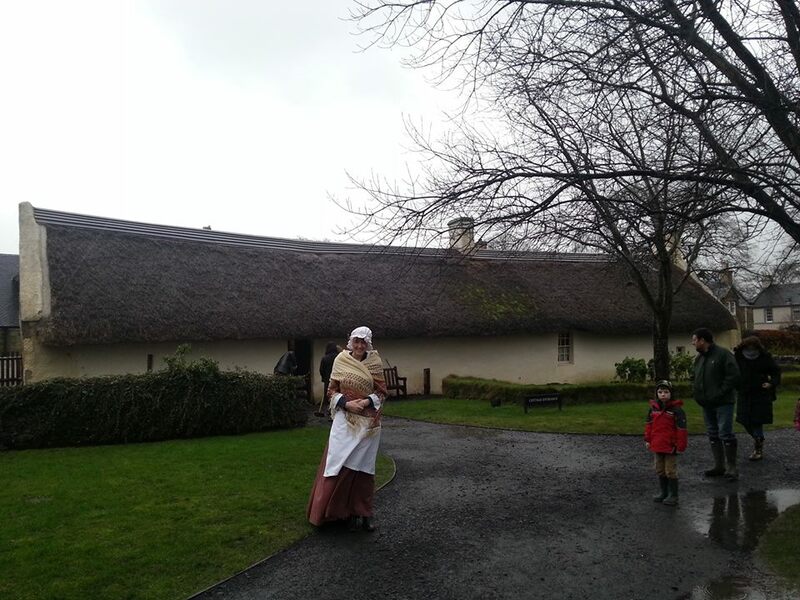 We even had a couple of genuine 18th century villagers visiting the cottage that day! Weekend guided walks and buggy trips were available as usual, and we also introduced two very successful ‘roving guides’ who were on hand to give anybody looking lost a nudge in the right direction. Sunday again threatened to be a wash out, but thankfully the skies cleared at midday and the events were able to go ahead as planned. Once again, our costumed characters took to the cottage to introduce themselves to the floods of visitors that poured through the doors. In the pavilion, the education team worked hard to create a programme of children’s events for our youngest visitors, who tackled their own ‘Burns Super Supper Challenge’ and had the chance to win themselves a certificate. Our catering team set up a cafe in the education pavilion and kept our visitors well fed and watered with a variety of refreshments. We were also visited by a selection of owls from Hoots Houlets who set up residence in the barn, and the field outside the cottage played host to the World Haggis Hurling Championships, kindly sponsored by Pollok Williamson. 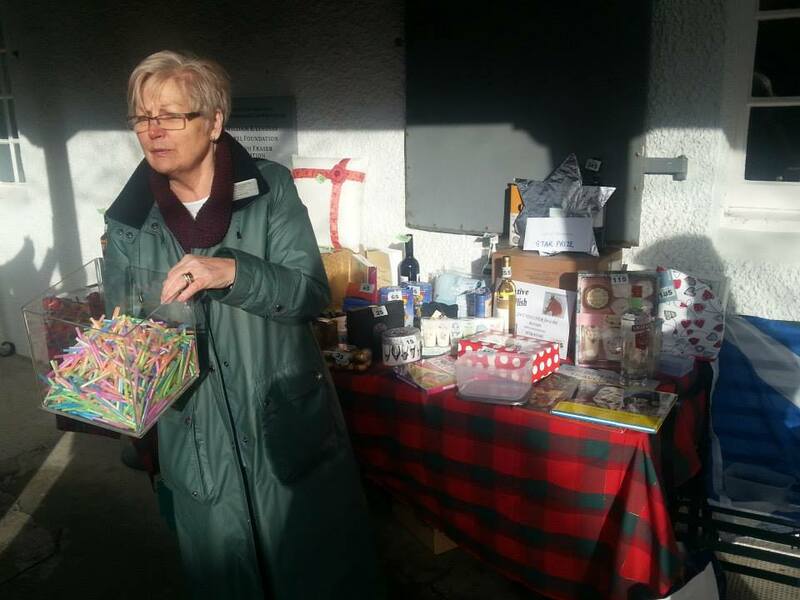 Our volunteers ran a very popular tombola outside the education pavilion, and also staged some ‘pop-up’ recitations of Burns poetry around the museum and wider site. Finally, we were pleased to be able to welcome some musical entertainment in the forms of Ayr Pipe band and Forehill Primary’s ‘Alloway Rap’. All in all, we at RBBM enjoyed our Alloway1759 celebrations immensely. We would like to say a big thank you to all of our fantastic volunteers who gave up their time to come and join us; to our catering, retail and event staff who worked tirelessly to ensure everything went ahead; to our education team who created a wonderful programme of activities for children; and to all of our external and internal helpers who contributed to making the event the success it was! But most of all we would like to thank those of you who visited us over the weekend and helped us make the Bard’s birthday the special occasion that it should be… we’ll see you next year! 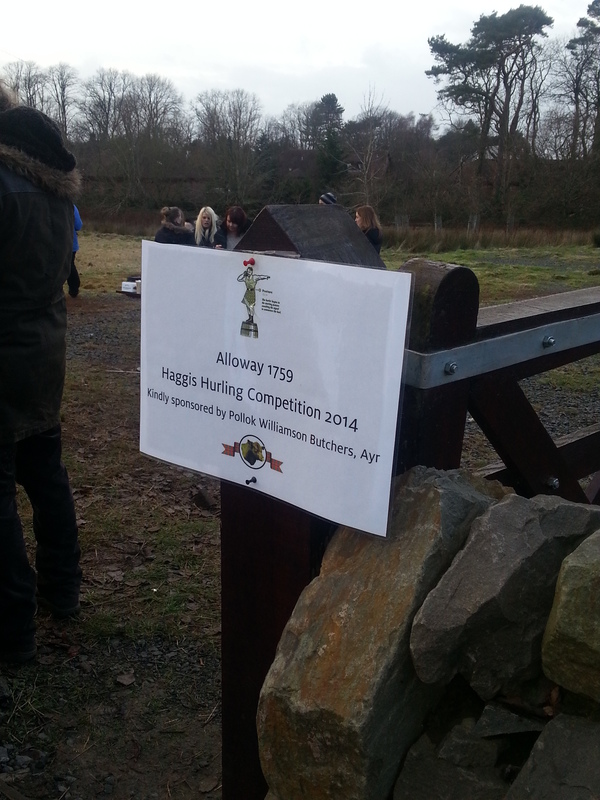 This entry was posted in Events and tagged Alloway 1759, Alloway rap, Alloway sessions, Burns night, Burns supper, Education, Haggis, haggis hurling, Hoots Houlets, Pipe band, Robert Burns, Tombola, volunteers. When Robert Burns was alive, Scotland was a very religious country. Robert Burns’s religious beliefs switched between two extremes from not believing in an afterlife to being a very religious person. 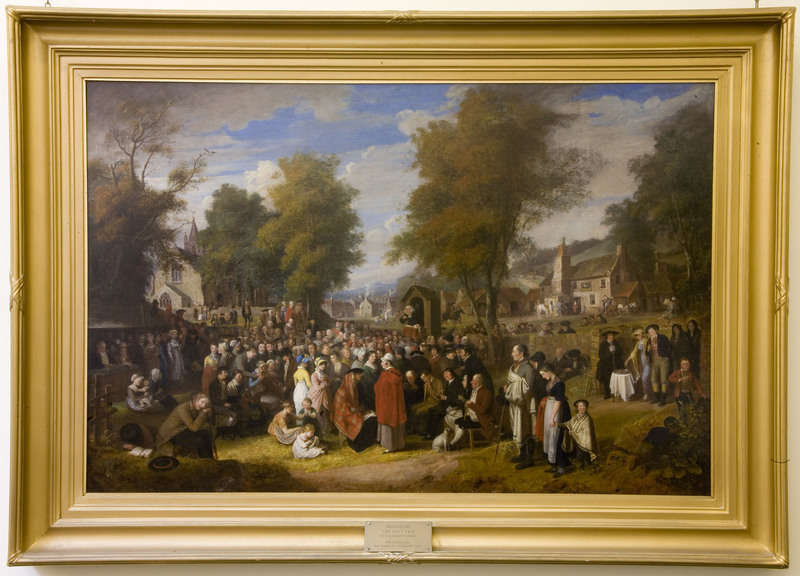 “The Mauchline Holy Fair” by Alexander Carse, which is on display at the Robert Burns Birthplace Museum, is a picture from one of the scenes from Burns poem “The Holy Fair” written in 1785. Holy Fairs were open air events that were held twice yearly; they were not only attended by people from the local parish but also people far and near. Twelve hundred people took to the fair that day! So it’s fair to say that the small village of Mauchline was swamped. The picture depicts the priest telling the people about the sin of drinking alcohol; however if you look closely at his face, there is a possibility that the priest himself has been drinking. Burns himself had a special hatred for the religious hypocrites such as the priest depicted. He disliked it when people said that they were overly religious but were really not. 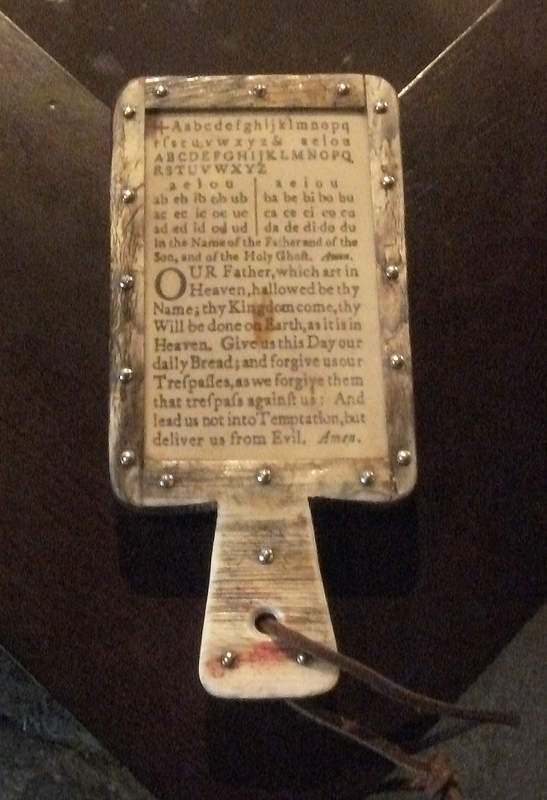 Such hatred is expressed in his poem, “Holy Willies Prayer”. 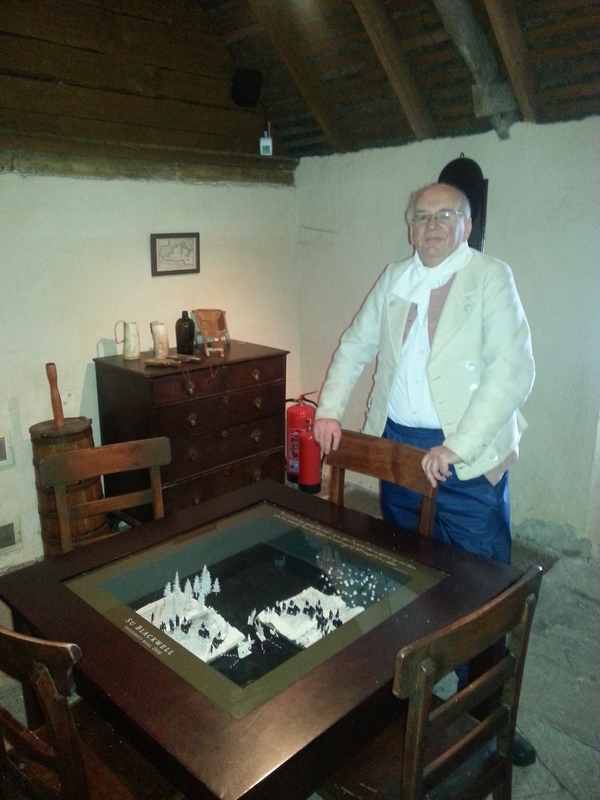 If you have an eagle eye you may spot Robert Burns in the right hand side of the painting by a table. He is being guided round the fair by a woman called “fun”, with “hypocrisy” and “superstition” dressed in black, leaving Burns and going on their own way. This entry was posted in Object Focus and tagged alexander carse, holy fair, Object Focus. Agnes McLehose, the daughter of a Glasgow surgeon and wife to a lawyer was a woman much above Robert in terms of wealth and family connections. Agnes’s love of poetry had caused within her a strong determination to meet the man who was the talk of Edinburgh. At a tea party held by a mutual friend their connection appeared instantaneous, Agnes’ attributes of intelligence, wit and a passion for poetry encouraged Roberts’s pursuit. The pair planned to meet again, but due to a coach accident Robert was left lame for weeks, putting paid to his plans not only to meet with Agnes but to those of leaving Edinburgh. For six weeks Robert was confined to his room. Immobilised, he and Agnes communicated via the Edinburgh penny post. The penny post was however not privy to the rules and regulations of His Majesty’s mail leading to the pair deciding upon noms de plume to cover their tracks and protect her reputation as a married woman; thus Agnes became Clarinda and Robert, Sylvander. The passion between them was keenly felt but she was married and unattainable. Robert returned to Jean and Agnes sailed to find her husband in the West Indies (unfortunately he had already found a mistress and Agnes returned to Scotland alone). This coffee cup shows the cultural divide between the two, coffee being a luxury reserved for the upper classes. The creature brightly illuminated upon the porcelain is that of a Chinese Pheasant, a symbol of beauty and good fortune, but perhaps most appropriately for both parties the representation of literary refinement. Despite their shared love of poetry, did their romance really ever stand a chance? 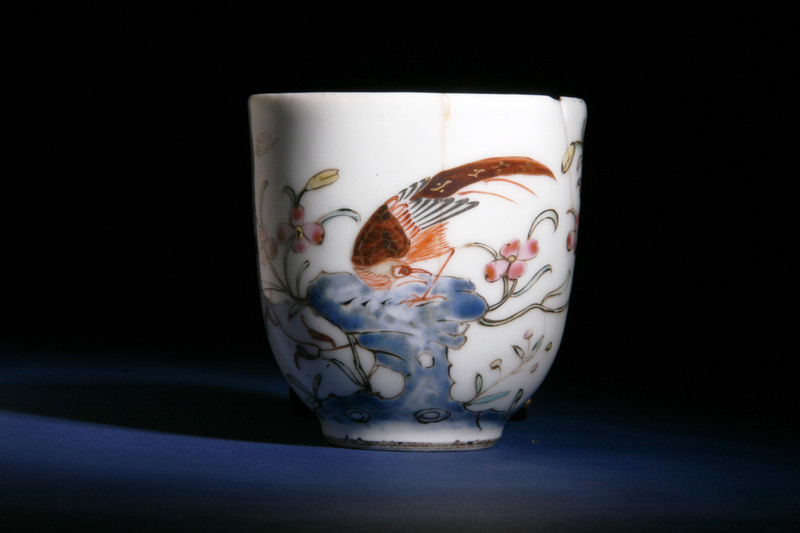 This entry was posted in Object Focus and tagged Agnes McLehose, Chinese Pheasant, Clarinda, coffee cup, Robert Burns, Sylvander. For all music lovers especially those with a fascination for stringed instruments, Robert Burns’ guittar on display here at Robert Burns Birthplace Museum is well worth a look. 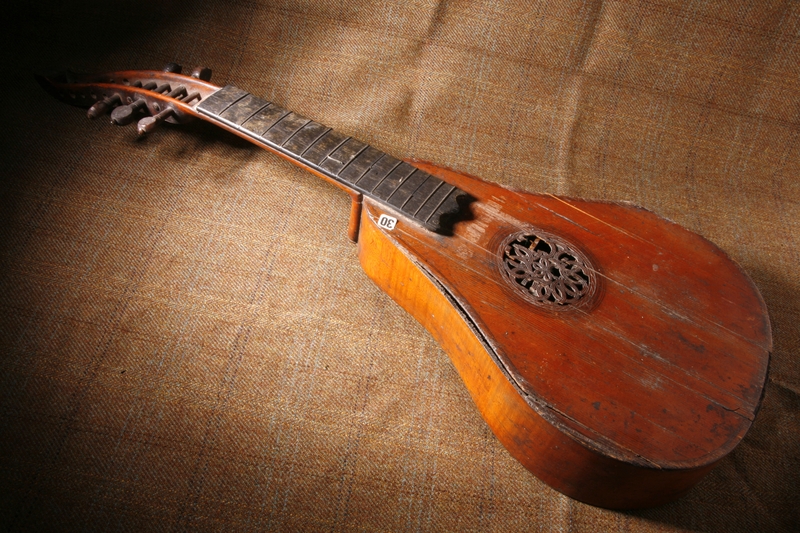 This beautiful artefact is the earliest known English guittar in any Scottish collection, dating from 1757. The English guittar was popular during the 18th century and up until the beginning of the 19th century. The instrument resembles a pear, in shape, and its’ head at the end of the neck is bent backwards slightly. It would usually have 12 strings although sometimes only 10 or 8 and those would be attached to little ivory knobs at the lower end of the instrument and stretched over a bridge. Fingerboards on guittars were often covered in ivory and would be complete with bass frets. Unfortunately there aren’t any strings remaining on Robert’s guittar today. The English guittar is more closely related to the cittern (in fact it could be described as a revival of the cittern) than the modern-day guitar. In France the early form was known as the cistre or guittare allemande and in Italy it was known as the cetre. There is a theory that Italian musicians introduced the cittern to England where it became very fashionable and gradually became known as the guittar in the 18th century. Although Robert spoke modestly of his musical ability, he clearly considered himself to be a musician. In a letter to Charles Sharpe, a talented amateur musician, Robert stated: “I am a Fiddler and a Poet […] Whenever I feel inclined to rest myself on my way, I take my seat under a hedge, laying my poetic wallet on my one side, and my fiddle case on the other.” It is not illogical then to imagine that he was an enthusiastic and perhaps accomplished fiddler, so I wonder if he would have played his guittar well too? In 1758 in Edinburgh, Robert Bremner who published the first tutor for the 18th century Scottish guittar stated that; “…Time will…discover more Beauties, in the Instrument than there are yet known…” For anyone interested in listening to an 18th century guittar played today, there is the musician Rob MacKillop who plays Scottish traditional music written for guittar, lute, mandour and cittern. You can listen here to his rendition of I Love my Love in Secret, a melody which comes from a manuscript in Berwick, now housed in the National Library of Scotland. This entry was posted in Object Focus and tagged cittern, Guittar, music, Object, Robert Burns. Our current Scots word of the week is ‘Boak’. Ken whit it means? Visitors to our Facebook page certainly did, and were kind enough to pen these poems on the subject. We think they’re braw! That gied me tha boak! An gang awa’ back tae bed! Was enough to gie any mother the boak! Gonae write your own Scots poem? We’d love to hear it! This entry was posted in Uncategorized and tagged boak, poetry, scots word of the week. Have you heard about all the fantastic things we’ve got planned at the museum in 2014? Follow the links to find out more! Umbrellas? In Alloway? There’ll not be a need! So many happenings eik up the year, it’s oodles of fun when you veesit us here! This entry was posted in Events and tagged Alloway 1759, Alloway sessions, book club and cupcake cafe, Burns night, Easter, haggis hurling, Hoots Houlets, Owls, pirates, Savage and Tender.